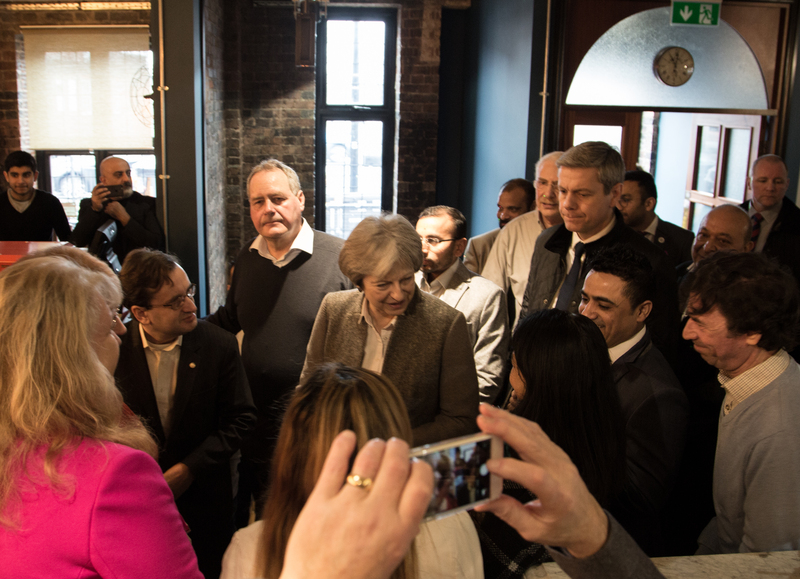 Bombay Central, an Indian restaurant in Harrow, was honoured and humbled to welcome the UK Prime Minister, The Rt Hon Theresa May MP and other distinguished politicians and councillors to Bombay Central on Saturday 10th March. 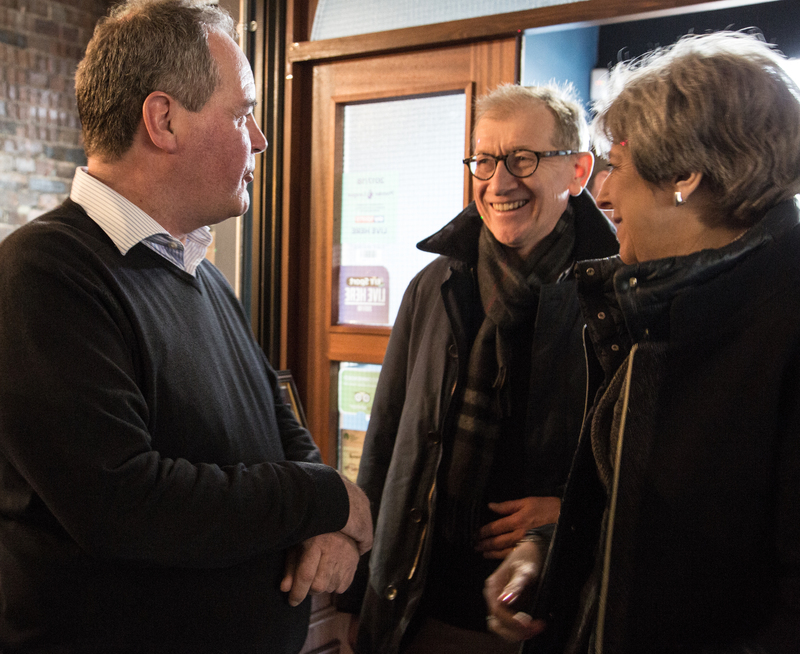 The visit marked the start of a day of activity in Harrow. Bombay Central is designed to appeal to both locals and travellers passing through, serving good Indian food and offering a great experience to ensure everyone a happy journey. It is open to all and this particular visitor humbled the team. Our identity and experience reflect the hustle, bustle and quirkiness of the people coming and going at all times at a train station in India. It adopts the attitude, colours, materials and imagery, introducing them into a social café by day and restaurant and lounge bar experience at night. The Prime Minister and the team were hosted at a private event with our range of Indian street food snacks and hot masala chai.